Throwing a Theme Party is latest fad these days. 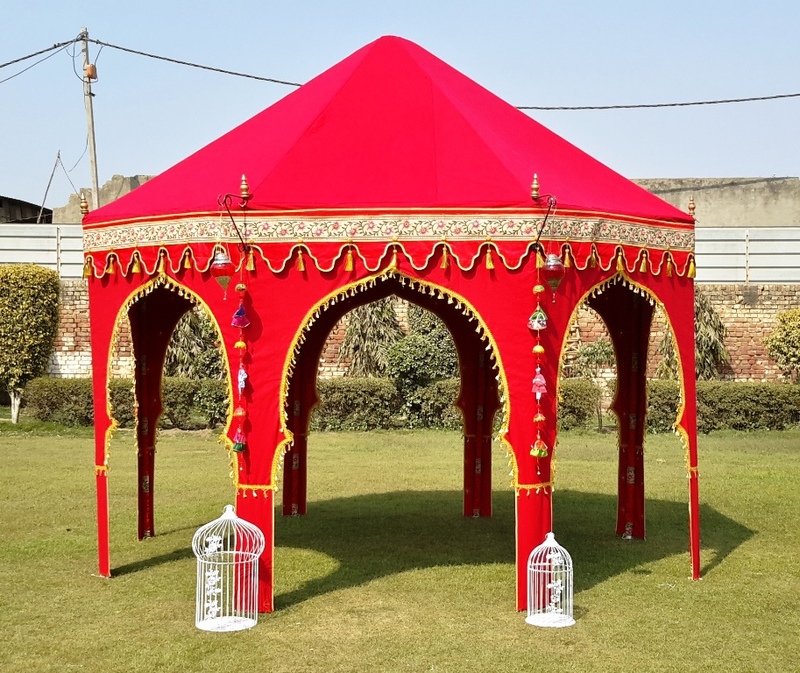 We offer you the entire Moroccan set up, with an Ottoman Tent, the low floor seating, wooden stools, hand crafted low wooden chairs, mattress with round pillows, Hookah, traditional decoration items, as painted aluminum kettles, pickle jars and bird cages for an up market decor. 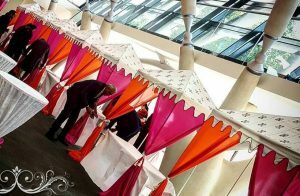 You can customize all the colors with us or even create your own Tent and it’s ambiance. The Moroccan Tents have an old world charm around them and make the most beautiful party’s venue for the modern day world. 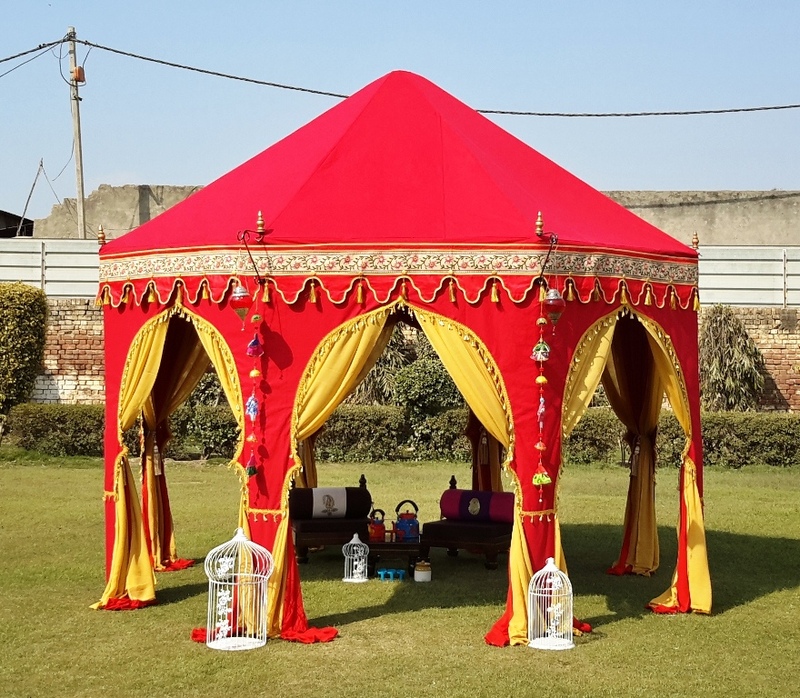 The bright Red hues, matched with Gold & Red curtains make for the best possible combination to host your Mehndi Party, Sangeet Function and also as an Indian Wedding Ceremony Tent. We and Manufacturers and Exporters of Best Quality Indian Tents and Party Decoration Items. 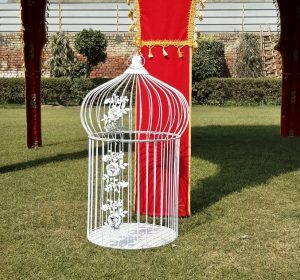 The traditional ceramic pickle jars and aluminum kettles with bird cages are being used as decoration items at weddings and parties. 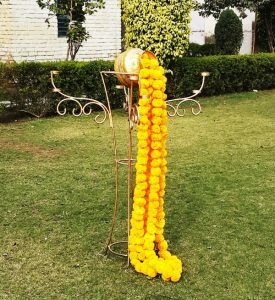 Artificial Marigold flowers and bird cages are also being used for decoration. 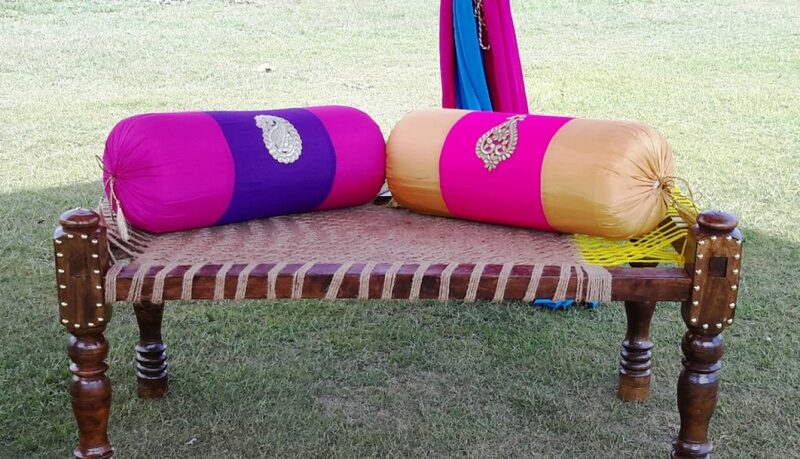 Indian Weddings are full of colors and decorative props for photography. 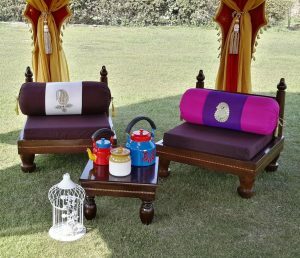 All Indian traditional things have been given a colorful Makeover to take part in the Indian Weddings. We provide Painted Kettles, Tea stands, Cutting Chai Glasses, Decorated Rickshaw and Decorated Redis all specially designed for the Indian Theme weddings and Wedding Planners. At all Indian Weddings these days, you can see creativity at its peak, so design your wedding decor in accordance with the Times ! 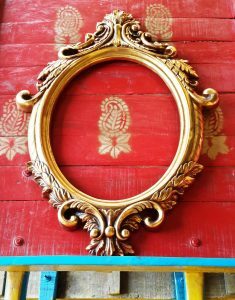 Use decorated mirror frames, colorful curtains for food Stalls and bird cages and pickle jars as flower vase. We are the best quality suppliers of all Indian Wedding Items so contact us today! 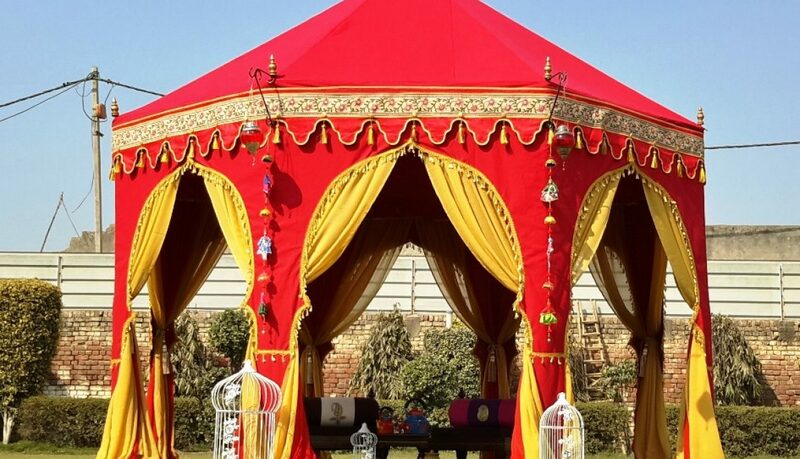 Suppliers of Decorated Rickshaw, Decorated Redi and Decorated Cycles for Wedding Planners and Event Planners.